The latest update brings not only the live streaming, but also the ability to listen to CBS Sports Radio from within the app itself. The live streaming sports will include college football, which is generally Saturday afternoon SEC battles and some occasional other special games like the Army – Navy game. College Basketball coverage will be available from January through April and includes many Saturday and some Sunday afternoon CBS broadcasts. The other major sport to be live streamed is PGA Golf. This will include CBS’ weekend coverage of live PGA events from May through August. Finally, Android users can check out some live streaming sporting events on the CBS Sports app. Unfortunately, there is no NFL for now, but the expectation is that local NFL broadcasts will be available starting in 2014. 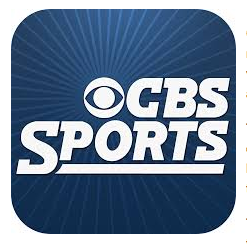 You can download the CBS Sports Android app for free from Google Play.